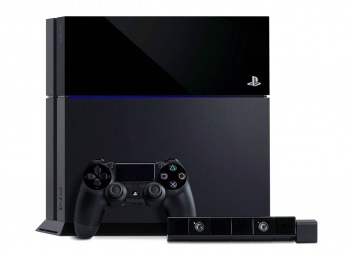 Sony says the PS4's much-desired cross-chat service will support up to an octet of gamers. With the PS4's launch day drawing ever closer, Sony is just about done keeping secrets. We've heard talk of a Party system to let you use voice chat with friends over PSN, regardless of what game or app you're using, but a few details were missing. But as of now, we can all sleep easier knowing exactly how many users can use cross-chat together at once - Sony says the magic number is eight. One more mystery solved, folks. Sid Shuman, Social Media Manager at Sony, confirmed the detail during a Killzone: Shadow Fall Q&A session on the PlayStation Blog. The feature has been a long time coming, since it was a major gap in PSN's social components last generation. While the PS3 did get cross-game text chat via lobbies for up to 15 users, voice chat was never in the cards (meanwhile, the 360 had cross-game voice chat but never did add text lobbies). The PS Vita was the first Sony product to achieve this much-wanted feature, and now Sony consoles will catch up at last. Expect the service to be live along with the rest of the PlayStation 4's social features when the console launches on Sony's "perfect day," November 15. I'm sure it'll quickly be put to good use discussing game tactics and delivering positive feedback on your friends' playstyles - that's what you use voice chat for, right?